GHI, through its Director John Graham, has been involved in peace-building efforts in the Middle East for twenty years. Most of that has been in partnership with Initiatives of Change, a global peacebuilding organization that has quietly and effectively built bridges in many of the world's crisis areas--starting with hosting the first meetings between Germans and French just after the end of the Second World War--meetings that helped lay the foundations for today's European Union. 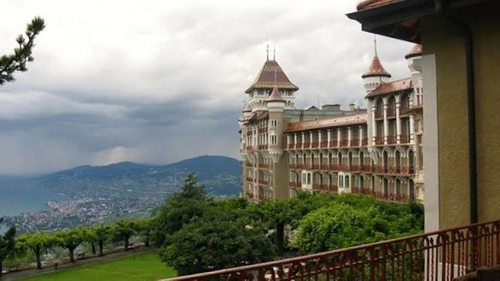 Graham's participation in Middle East peace efforts has been mostly in quiet meetings at IofC's headquarters--an old hotel high in mountains above Lake Geneva near Montreux. 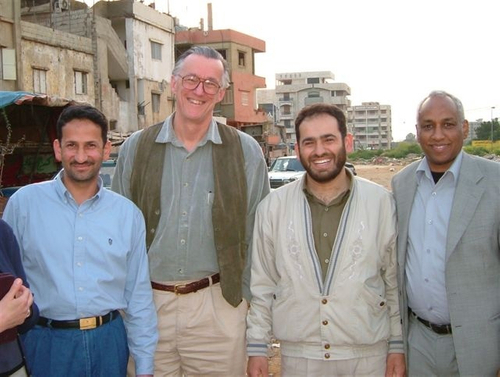 As part of efforts to understand the positions, history and temperament of both sides in the conflict, Graham visited a Palestinian refugee camp in South Beirut in 2006. That camp was administered by Hamas, a hard-line opponent of Israel with its own long list of grievances going back a century. Graham just listened to their point of view. Upon his return to the US, however, Graham found himself put on the No Fly List as a "threat to national security" by the Bush Administration, presumably for his efforts to find common ground in a conflict in precious need of it.